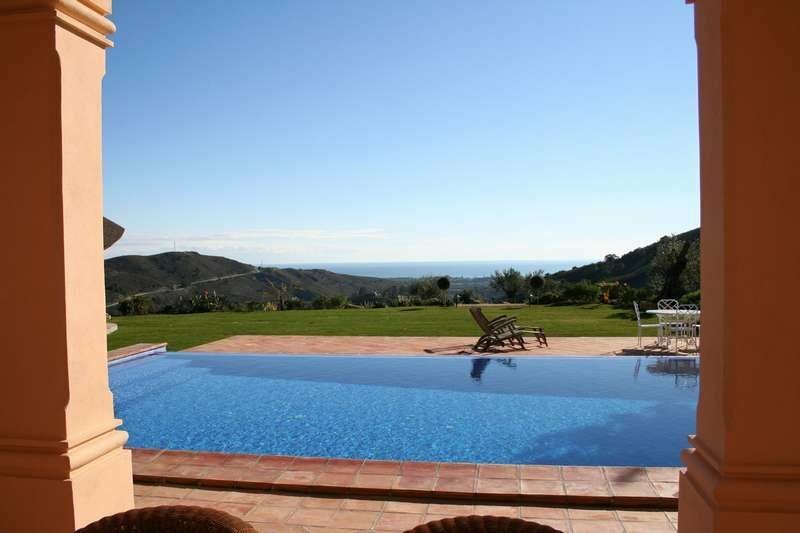 Cortijo-style estate with panoramic sea views in complex with 24-hr security! 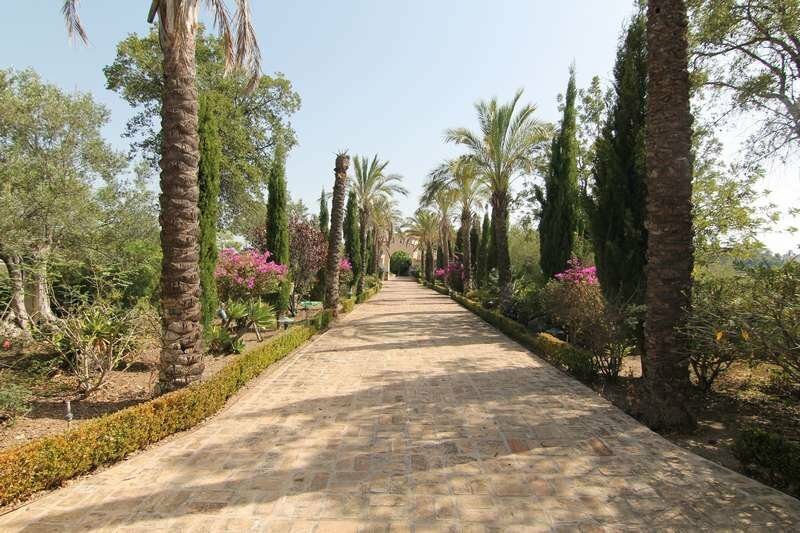 Lovely cortijo-style property, surrounded by pines and cork trees of this exceptional gated complex: Marbella Club Golf Resort in Benahavís. Offering the latest facilities and installations in fine country living, complimented by a championship standard golf course, clubhouse, excellent restaurant facilities, renowned equestrian centre and 24 hour security. 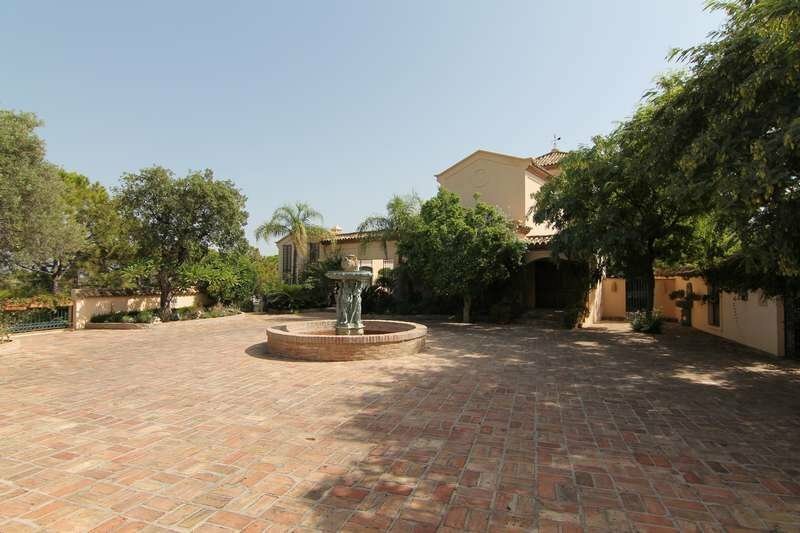 Entry gates lead to an antique-paved driveway and on through an arch to the formal courtyard covered parking for up to five vehicles as well as access to the Andalusian patio and front door. 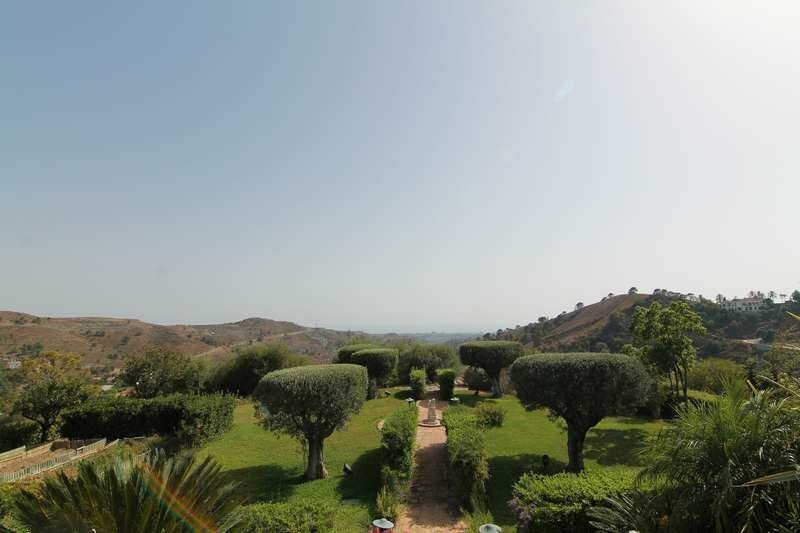 The property exhibits all the traditional characteristics of a typical Andalusian cortijo; solid wood doors and windows, terracotta floors, timbered ceilings in selected areas, hand-made ironwork. 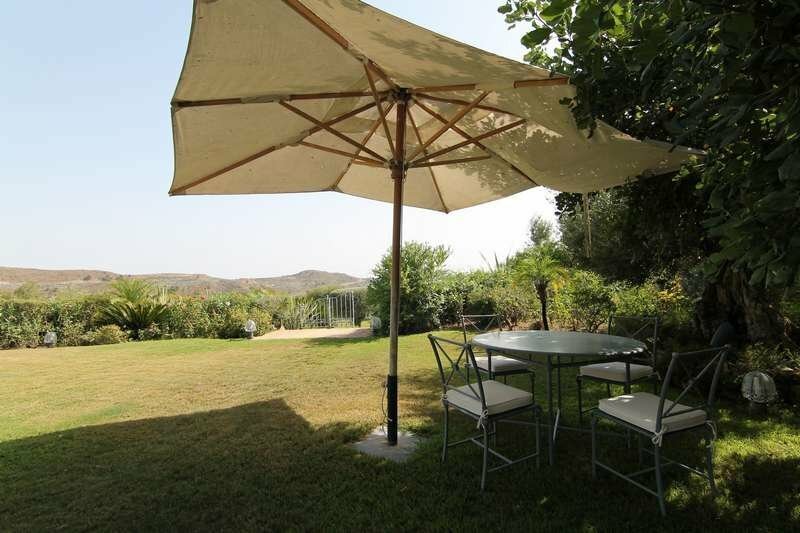 The villa comprises, on ground floor: entrance hall leading onto a spacious lounge with fireplace and access to the covered and open terraces, opening onto the mature garden with swimming pool and dining pergola, enjoying panoramic sea views; a separate cinema room; large fully equipped open-plan kitchen incorporating generously sized dining room with access to terraces and garden; separate utility room; 2 en-suite bedrooms; and a guest toilet. An independent bodega by the driveway entrance completes this level. First floor: 50 m2 en-suite master bedroom with vaulted ceilings, access to a terrace, and an adjoining private office and a further en-suite bedroom. Self-contained staff accommodation. 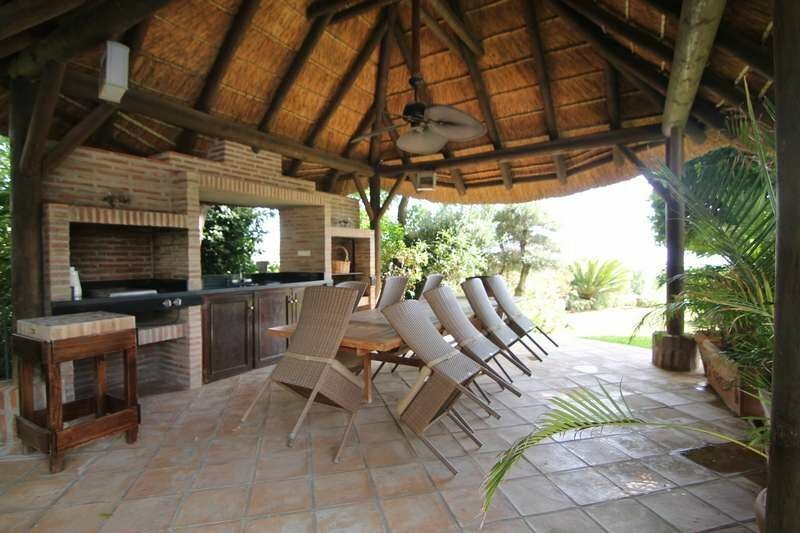 A beautiful and elegant private estate, within a secured urbanization 20-minutes' drive to the beach. 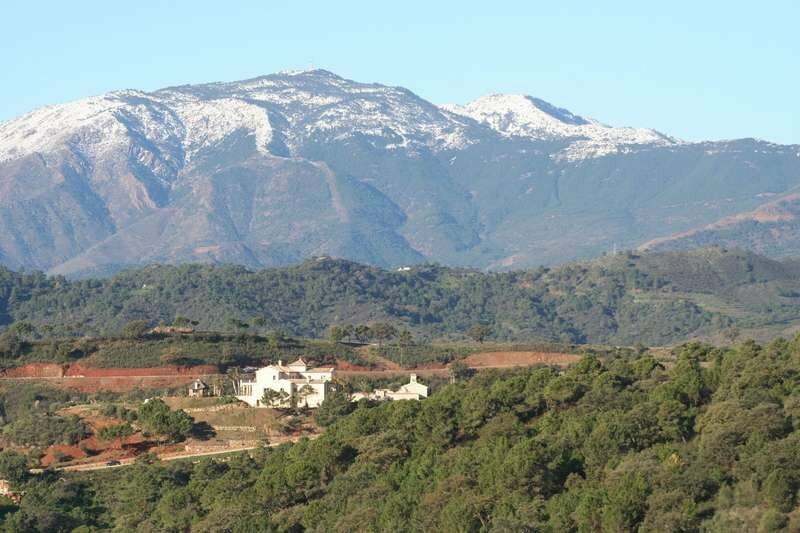 There is the possibilty to build a second villa or guest house .